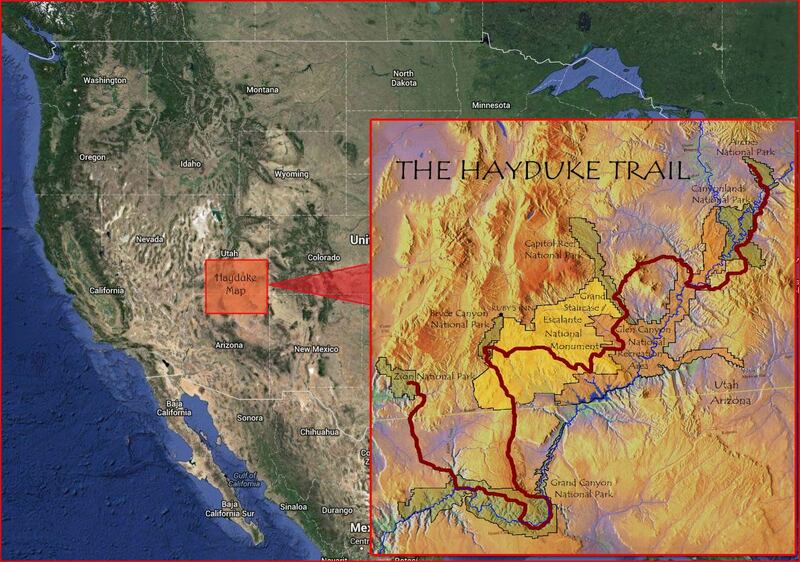 The Hayduke Trail is a 800 mile hike and scramble t hrough the canyons of the Colorado Plateau in southern Utah and northern Arizona USA. The route links six stunning National Parks…. Arches, Canyonlands, Capitol Reef, Bryce Canyon, Grand Canyon and Zion. The route connecting the parks stays pretty much in public lands including the wonderful Grand Staircase-Escalante National Monument, Glen Canyon National Recreation Area and numerous National Forests, BLM Districts, Primitive Areas, Wilderness Areas and Wilderness Study Areas. Our blog pages are below and our website pages have info for hikers and lots of links.